baierlboys: Dad and Sons' Camp Out! Thank you Cassie and Joe for the annual boys camp out. I cherish the opportunity you provide for these boys each year. Memories are made with dads/sons and friends. 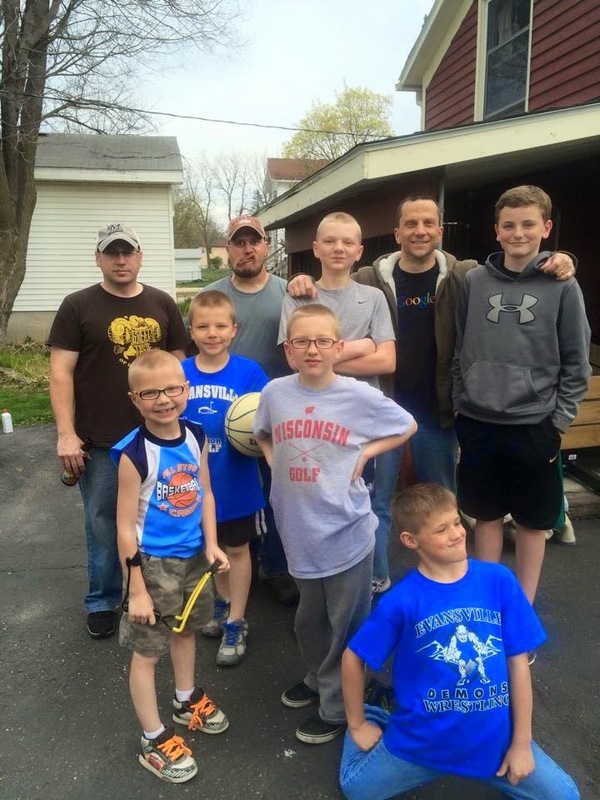 I love looking at the group picture year after year as the "older boys" grow taller than the dads! Look at Justin and David! How tall will they be in 5 years? They are not even in high school yet. Holy cow! It is an added bonus that both your family and mine are "all boy" families. I loved having a fright night movie hang out with you while they camped. I could not fall asleep until after 3 a.m. I was so hyper awake from that scary movie! 'Good thing we only do that 1 time per year. Eek!